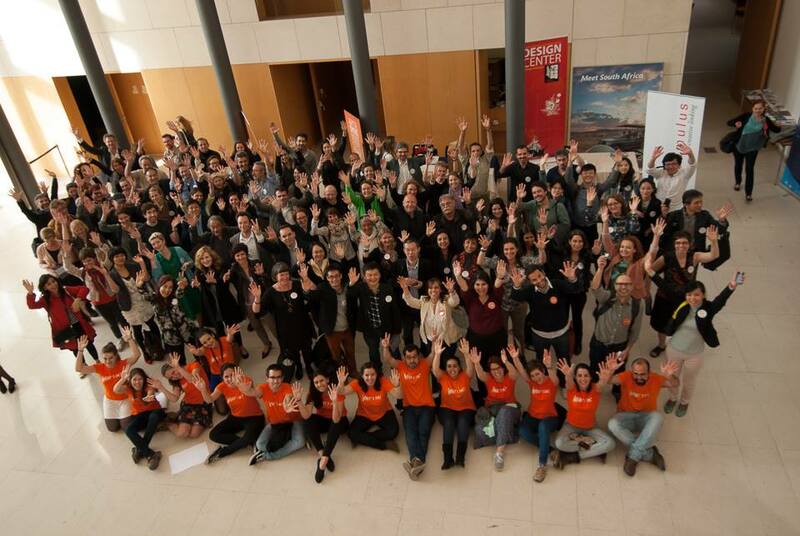 At the Cumulus Conference in Aveiro, 8-10 May 2014, called ‘What’s On: Cultural diversity, Social Engagement, Shifting education’, I participated in the Social Engagement theme as a co-chair. In this post I pick out some highlights from the papers presented and my reflections [these are given in square parentheses]. I explore the diverse approaches of the authors from the perspective of Felix Guattari’s ecosophy which includes his The Three Ecologies – social, mental and environmental (1) – and suggest that we consider adding other ‘ecologies’ in order to truly ‘socially engage’. On the morning of the first day, we kicked off with a paper by Minqing NI (2) focusing on projects by students at Tongji University exploring ‘social interventions on Urban Borders’. One team’s design response focused in the areas of housing demolition in the Putuo district in Shanghai. Government-led initiatives clear extensive areas of old housing then leave these desolate landscape of demolition waste for between 1 to 5 years before new housing construction takes place. [It is clear that complete locales and their communities disappear.] In this context the students decided to create a garden using the old rubble. While children joined the activities, other members of the community were absent. Another student team placed a red swivel chair in the middle of a busy pedestrian bridge bounding two districts. Yet another team looked at the citizens’ own initiatives to intervene in public space, from the prosaic (hanging one’s washing) to the paraphernalia of lovers in Love Street. Anastassakis and Kuschni (3) brought together design thinking and anthropological thinking by illuminating what they called ‘socially informed design’…’which revolves around the social dimension and “takes seriously” the ways in which the inhabitants of the world, not all of them being design professionals, understand and lead their lives.’ The “ taking seriously”, refers to the work of Brazilian anthropologist Eduardo Viveiros de Castro – “Taking seriously, is to begin with not neutralizing”. [I think this implies underlying participatory democratic conditions, which, at best, seem elusive these days even in democratically elected governments.] The authors see improvisation for continuous improvement as an on-going process of life, a unified concept of ‘social design’ that comes from society. Taking a different angle on the topic of social engagement, Sanna Marttila and Kati Hyyppä (4) presented a research project called Licence to Remix! by looking at emerging media practice around the collaborative remixing of video from the perspective of two ‘camps’ – the (stay) legal camp and the ‘anything goes’ camp where all materials are regarded as copy-able. They created a framework for understanding creative re-use online which looked at the level of participation and the level of openness and how people interpret, appropriate and reinvent these video materials. On the second day there was an excellent presentation and paper from Sara Radice (5) investigating the role of cultural institutions (a museum, a community organisation), how they encourage participation and the differences/synergies between the approaches of design for participation and Participatory Design (PD). She highlighted the tension between institutional authority and public voices, creating a useful matrix comprising levels of social engagement (direct, mediated, indirect) against three types of stakeholders (collectors, critics, creators) and showed the practices and tools applied in each cell. She highlighted a shift towards a negotiation between individualized and collective perspectives and identities where the professionals act more as enablers and facilitators rather than figures of authority. She also touched on need for participation to valorize heritage design experiences. In a salient reminder that design(ers) bring form to life’s materials, Peter Buwert (6) considered Wolfgang Welsch’s suggestion that the root of ethics emerges from within the aesthetic itself. He asked ‘can design return feeling to a society which finds itself constantly numbed to true ethical being?’ Buwert invoked Welsch’s call for a “genuinely aestheticized culture” ‘built not on empty structural morality but on radically ethical being’ and to a “blind-spot culture” which challenges aesthetic production by drawing attention to ‘that which we do not notice’. My final highlighted, collaborative, paper was presented by Sine Celik (7). This involved a research study into 500+ cases of various social innovation networks to produce a typology and categorisation according to organisational, methodological and functional properties of the network. The analysis of the database created seven functional categories: Create, facilitate, stimulate, efficiate, educate, associate and corporate with sub-categories relating to the type of space/place, organisation and processes. The idea is to create a better understanding of how the city of Leeuwarden, The Netherlands, might be supported in its plans to become the Cultural Capital of Europe in 2018. In particular, designers and social innovators today need to know more about how collaborative innovation networks function, so they might strategically and practically lever these to deliver more impacts through design-driven social innovation. To develop their own functional categories the authors explored the literature and found five earlier methods of comprehensive categorisation of networks, selected Dutch, European and international case studies and initiated interviews with international experts. They also considered ‘design involvement’, using the British Design Council’s four stages (discover, define, develop, deliver). The story hasn’t finished yet at the researchers are undertaking a second phase where ask the original case studies to reflect on this new functional categorisation of their specific network(s), at which point they will make the database open. 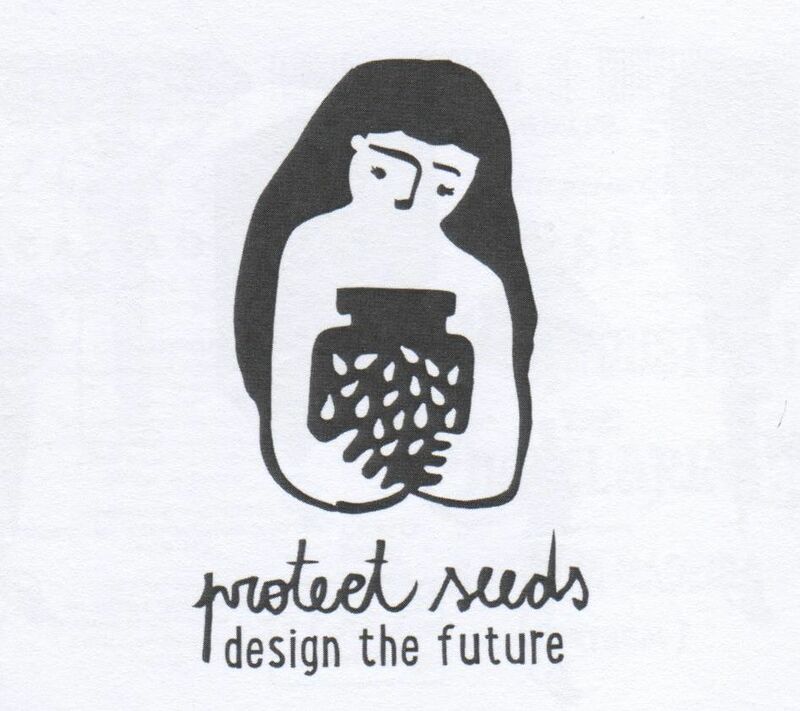 An illustration by Rita Almeida accompanying the conference schedule said it all – ‘protect seeds, design the future’. The reader should look to the Cumulus conference proceedings, published later this year, for the papers I have referenced and others too in the theme of Social Engagement. I believe there is a growing weight of activity around how designers/researchers engage with and impact upon societal issues (8) and sow some important seeds for the future. What is less clear is whether designers/researchers feel comfortable taking the road of dissensus armed with a Guattarian ecosophic will. I believe we have to embrace Guattari’s Three Ecologies within a (re)new(ed) political ecology where we are citizens first and designers second. Credits: Black & white illustration by Rita Almeida (Protect seeds, design the future) 2014. (1) Guattari, Felix. (1989). The Three Ecologies. Translated by Ian Pindar and Paul Sutton, London: Bloomsbury, 2000. Guattari defines ecosophy as a means to reconstruct social and individual practices via an ethico-aesthetic aegis of social ecology (the register of social relations), mental ecology (the register of human subjectivity) and environmental ecology (the register of the environment) aimed at changing the socius, the psyche and ‘nature’ (p27). He sees ecosophy as a means towards cultivating a dissensus and challenging of the singular production of existence through capitalist power, producing a capitalistic subjectivity (p33) and as a means to organise ‘new micropoltical and microsocial practices, new solidarities, a new gentleness, together with new aesthetic and new analytic practices regarding the formation of the unconscious’ (p34). In particular, Guattari describes Integrated World Captialism (IWC), what we might recognise today as the dominant model of global neo-liberal capitalism, as having a semiotics of subjectification based upon economic, juridical , techno-scientific and other (often form-based architecture, town planning, etc) regimes (pp31-32). In short, these ecologies can encourage other ways to form the unconscious and set transformative forces in motion. (8) See, for example, the AHRC funded project at the University of Brighton, UK, Mapping Social Design Research and Practice and the international DESIS network co-ordinated by Milan Polytechnic, Italy.